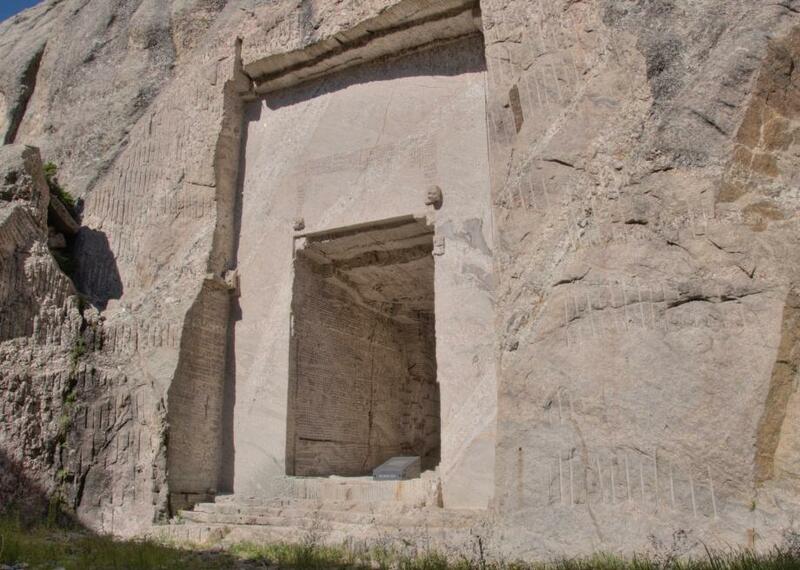 There's a hall of records hidden behind Lincoln's head in Mount Rushmore. The exterior of the Hall of Records. Each day, Slate features an article from Atlas Obscura, the website dedicated to the world’s hidden wonders. You can follow Atlas Obscura on Facebook or on Twitter. The four giant presidents carved into Mount Rushmore make up one of the more absurd American monuments. However, when chiseling away at the rock face, sculptor Gutzon Borglum had a lot more in mind than is immediately apparent. Borglum’s initial plan was to sculpt the outline of the Louisiana Purchase and inscribe it with the most important events between George Washington’s and Teddy Roosevelt’s presidencies. When that fell through, Borglum started in on a new, equally valiant endeavor. He wanted to create a Hall of Records to house important American documents for posterity. This grand time capsule was to be 80 feet tall and 100 feet long, lined with brass cabinets containing copies of the Declaration of Independence, the Constitution, and other historic American contributions to art, science, and industry. The hall would be carved into the canyon behind the heads and would be accessible via an 800-foot staircase. 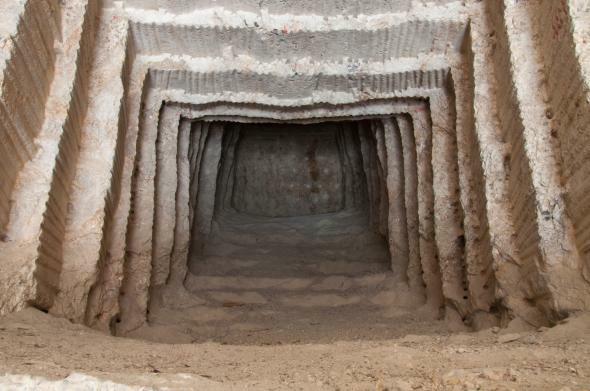 Work began in 1938 with workers blasting a 70-foot-long cavern using dynamite. The government was suspect of the project and insisted that Borglum finish the heads before he continued working on the Hall of Records. But Borglum died unexpectedly in 1941, and though his son put the finishing touches on the sculptural portraits (originally intended to depict the presidents to their waists), the Hall of Records project was abandoned. The chamber narrows as it goes into the mountain. The unfinished hall sat empty and untouched for decades. Then in 1998, 16 porcelain panels were placed inside the chamber. They describe the construction of the Mount Rushmore Memorial and why those presidents were chosen, and document a history of the United States. These are intended not for the general public but as a time capsule for people of the distant future, as the sculptor intended. As for Borglum’s initial plan of an inscribed Louisiana Purchase sculpture, it was met with several obstacles. First, at the scale he intended it would have been impossible to sculpt the descriptions large enough for anyone to read. Second, Borglum had measured incorrectly when planning out the presidential heads (which is why Jefferson peeks out from behind Washington’s shoulder), and so Lincoln had to be pushed over to where the Louisiana Purchase was supposed to go.